Today in the 21st Century, the .380 pocket pistol is one of the most popular concealed carry options there is. And it’s really one of the most popular carry options because of one gun in particular: the Ruger LCP. Launched in 2008, the LCP catapulted itself to become one of the bestselling guns in America and cemented the .380 pocket auto’s status as a viable carry option. The LCP (and its successor the LCP II) is certainly a fine gun and easy to conceal, but is it the only quality .380 pocket auto available? Hardly. Another excellent pocket concealed carry option is the Smith & Wesson Bodyguard 380. 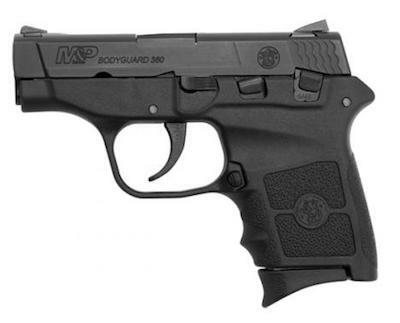 The Bodyguard 380 is very similar in size to the LCP but offers some different features. Plus, many law enforcement agencies across the country also authorize the Smith & Wesson Bodyguard 380 as an off-duty and/or as a back-up piece, so that says something about its reputation. We’ll cover the Smith & Wesson Bodyguard 380 in-depth in this article and talk about what makes it the best competitor to the LCP in today’s market. 1 Why The .380 Pocket Rocket To Begin With? Why The .380 Pocket Rocket To Begin With? First, let’s talk about the benefits of the .380 pocket pistol to begin with. .380 pocket pistols are not the kinds of guns you take to the range to have fun. They are purely close range defensive arms, and they need to be treated as such. They’re hardly fun range toys. 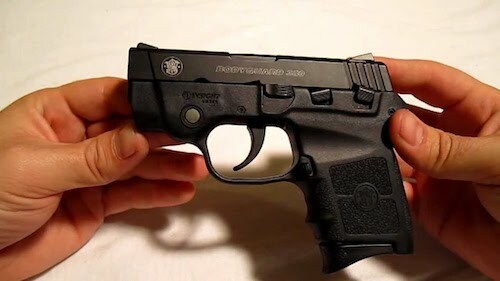 The typical .380 pocket pistol can fit in your pocket (obviously), has enough of a grip for you to wrap at least two fingers around, and holds 6+1 rounds of ammunition. They are also incredibly lightweight, often weighing twelve ounces or less. Needless to say, the first and biggest benefit to the .380 pocket pistol is how concealable they are. 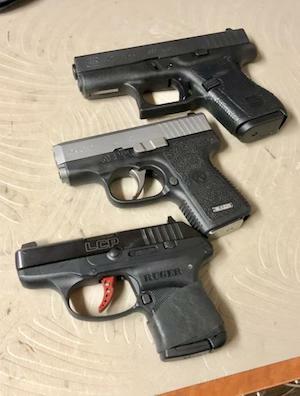 .380 pocket autos also have a number of disadvantages that you need to be aware of as well, if this is the route that you plan on taking for concealed carry. These include, but are not necessarily limited to: minimalistic sights, snappy recoil, and a long and gritty trigger pull. It’s for these reasons that .380 pocket pistols are not the most fun guns to take to the range, to say the least. In short, the .380 pocket pistol is an excellent choice for discreet concealed carry and for a backup gun to a larger pistol. It’s not the best choice for home defense or for fun shooting on the range. When you purchase the Smith & Wesson Bodyguard 380, you’ll receive a blue cardboard box with the Smith & Wesson name and logo in big bold white letters printed on the outside. Open up the box, and you’ll receive the Bodyguard, one steel magazine with an orange follower, a manual, a fired test casing, padlock, and a nylon case to hold your pistol. The Bodyguard 380 is hammer fired, only the hammer is shrouded into the slide. The frame is constructed out of polymer with stippled sections for added resistance in moist conditions, while the slide is stainless steel and coated in a black melonite finish for added corrosion and rust resistance. Both the sights are minimal but are also adjustable for windage, which is something that many other .380 pocket autos cannot attest to. The fact that the sights are small, however, means that they are also snag free when you draw the weapon. If you’re used to shooting mid to full size handguns, then shooting the Bodyguard will be a bit of a different experience for you. In fact, you’ll still notice a difference even if you’ve fired smaller guns such as 9mm single stacks. Fortunately, shooting the Bodyguard is also nothing that you can’t get used to. The first thing you will notice about the Bodyguard is its trigger. As is customary with most pocket 380s…its not pleasant. It is long and it is gritty, at least out of the box, and that’s the way it is. You’ll need at least ten pounds of pressure in order to pull it all the way back and release the hammer to strike the firing pin, and thus fire the weapon. The Bodyguard is also double action only, so there is no single action setting unfortunately. While the trigger pull to the Bodyguard may not be the finest trigger on the market to say the least, it’s also not something that’s unique to the Bodyguard. Competing .380 pocket autos such as the Ruger LCP (at least the 1st generation) and the Taurus TCP have the same problem. On one hand though, this trigger does have an advantage: since its not light and requires a lot of force in order to pull, it does make the weapon safer to carry. Something else you will notice with the Bodyguard is its snappier recoil, which can be attributed to its small size and light weight. This, combined with the arduous trigger, means that the Bodyguard is a difficult gun to shoot accurately at longer distances. It will require you to train a little extra to get it right, and keep in mind, this gun is meant as a close range defensive tool. At close distances of seven yards or less, the Bodyguard will be plenty accurate for you. If you still can’t stand the trigger, you’ll be glad to hear that it is something you can fix. You can purchase a short trigger bar from Galloway Precision and an adjustable trigger called the RTK Edge Trigger, both of which will really lighten the trigger pull for you and make the weapon easier to shoot. Carrying the Smith & Wesson Bodyguard 380 as part of your EDC will be a breeze. Like other 380 pocket autos, it will undoubtedly be one of the easiest pistols on the market to conceal. 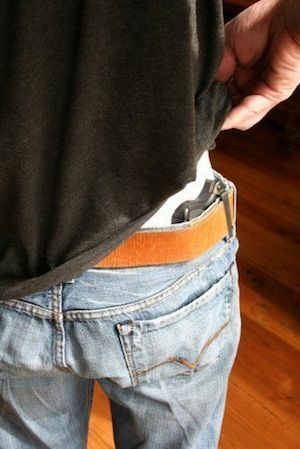 Examples of places where you could easily carry a Bodyguard 380 include inside the waistband on your strong side hip, inside the waistband in the appendix carry position, at the small of your pack, in one of your pockets, or around your ankle in an ankle rig. In short, this is a pistol that you can easily conceal even if you have to wear a tucked in shirt without a jacket. There are multiple variants of the Bodyguard 380 that you can buy. For one thing, you get to choose from different colors. You also get to choose between versions with a manual thumb safety and one without it. 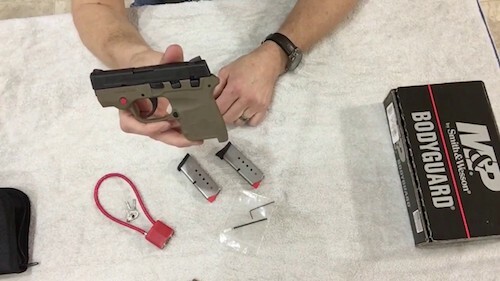 Since the manual thumb safety is only one more step in your training, and also since the trigger pull is already long, getting the model without the manual safety would probably be preferable. You can also choose a Bodyguard 380 with an integrated laser, which you can activate when drawing the weapon to aim at your target. The laser addition limits the number of holsters you can use, but it’s still an option to consider. In conclusion, there is one word that can be used to describe the Bodyguard 380: convenient. It’s so small and light that you’ll easily forget you have it on you when you’re carrying it. 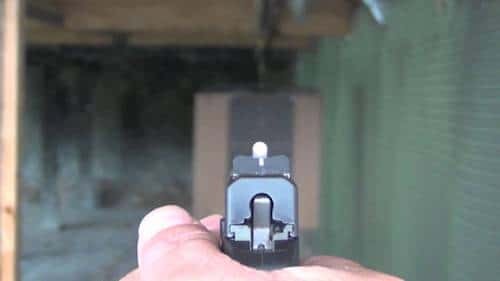 Is it the easiest pistol to shoot? But is it the easiest pistol to conceal carry? It’s certainly one of them. Those who wish to carry a small, dependable pocket rocket that won’t feel like an anchor in their pocket will most likely be more pleased than disappointed with the Smith & Wesson Bodyguard 380 and the features it provides.